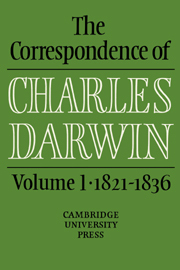 Charles Darwin depended on correspondence to collect data from all over the world, and to discuss his emerging ideas with scientific colleagues, many of whom he never met in person. 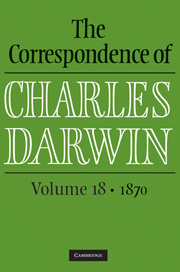 In January of 1868, Darwin's Variation Under Domestication was published. 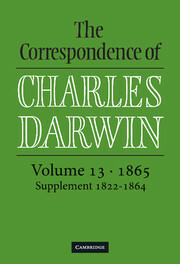 The first printing of 1500 copies rapidly sold out and the publisher, John Murray, ordered a second printing. 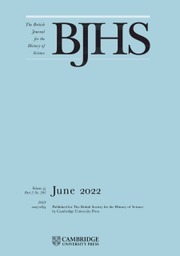 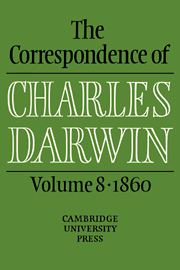 Responses to this new book, added to Darwin's continuing research into sexual selection and the expression of the emotions, increased the quantity of Darwin's correspondence to such an extent that the letters from 1868 fill two volumes. 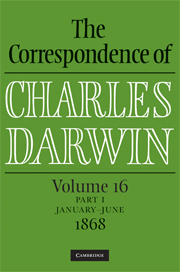 The letters he wrote and received during this year are presented here in chronological order across two volumes, with notes and appendices to put them into context, explain references, and provide information on related works. 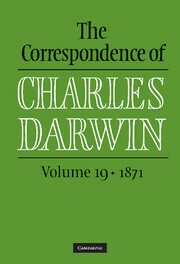 For information on the Charles Darwin Correspondence Project, see http://www.darwinproject.ac.uk. 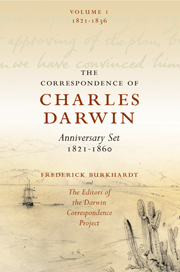 Frederick Burkhardt (1912–2007) was the founder of the Charles Darwin Correspondence Project, and the associated high profile book series The Correspondence of Charles Darwin (Cambridge University Press, 1985- ). 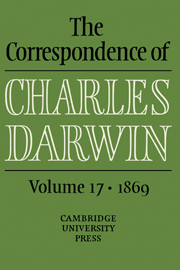 He was President of the American Council of Learned Societies from 1957 to 1974, and in 2003 was awarded the American Philosophical Society Thomas Jefferson Gold Medal for Distinguished Achievement in the Arts, Humanities, or Social Sciences.